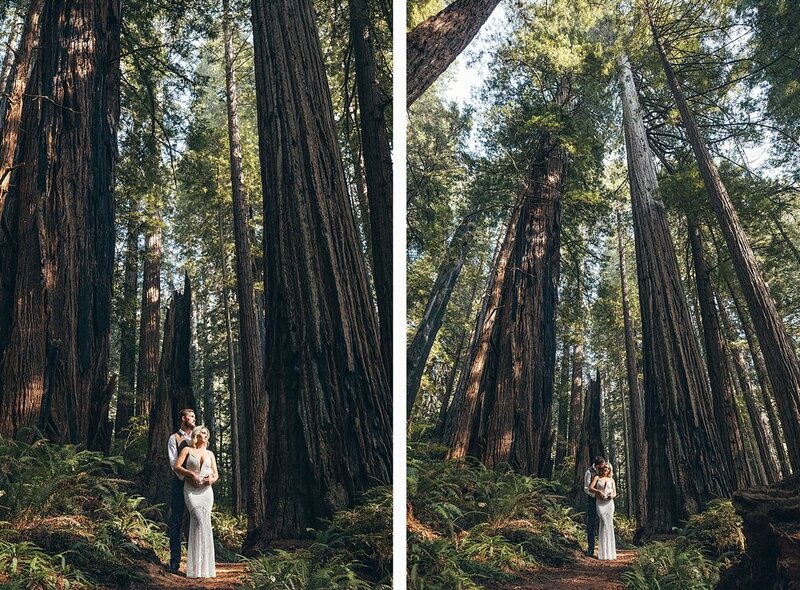 It has been a dream of mine to photograph a Redwoods National Park wedding or elopement since I found out what Redwoods National Park is! 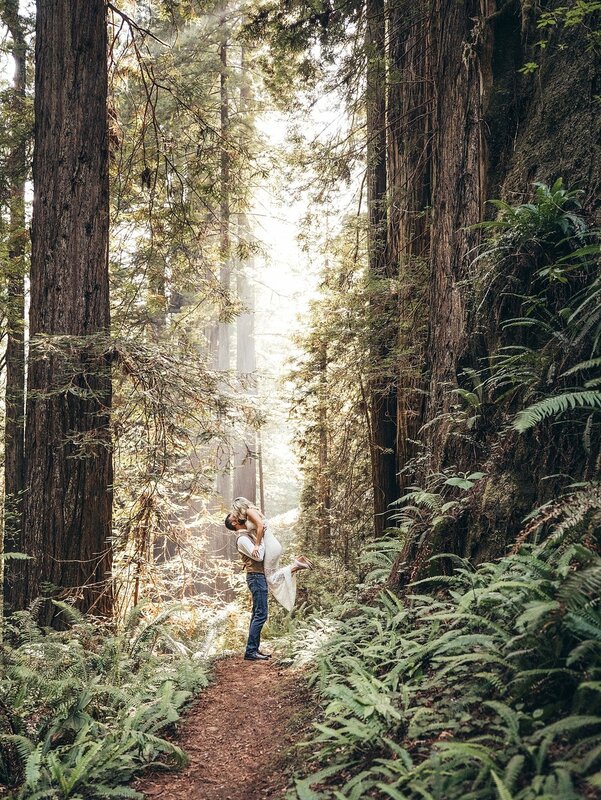 I knew this location is an absolute dream for any wedding photographer, but what I didn’t know was how much of a dream the couple that I was working with were going to be. 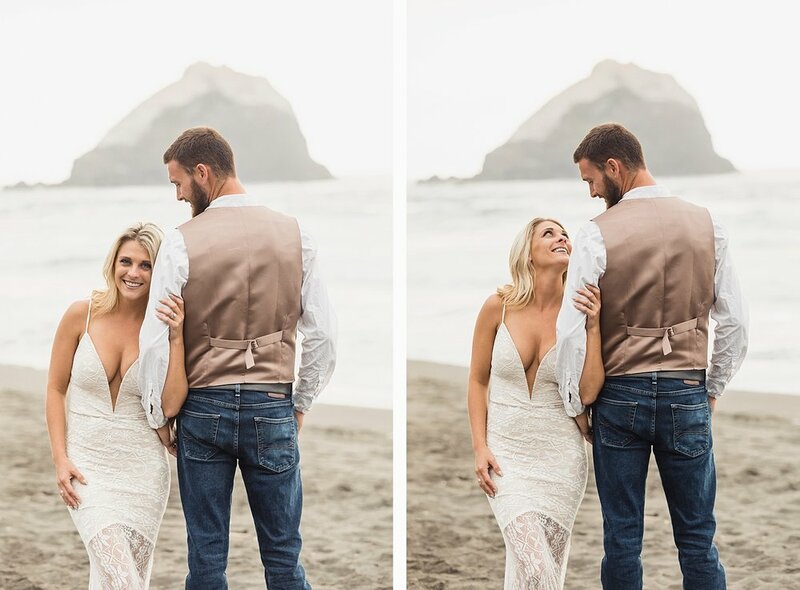 I was traveling along the coast of California for another wedding when Tiffany had heard that I was on the west coast and asked to book an anniversary session. 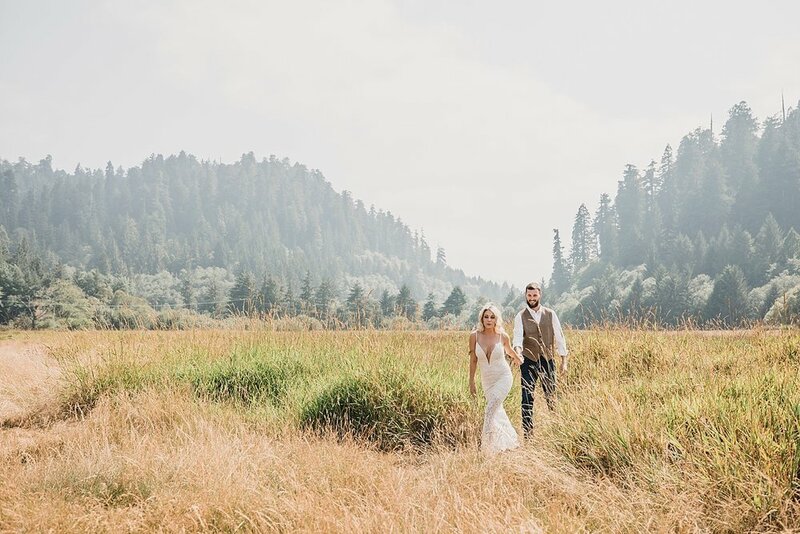 This beautiful couple grew up around Redwoods National Park and said they used to run around here like it was their own backyard. 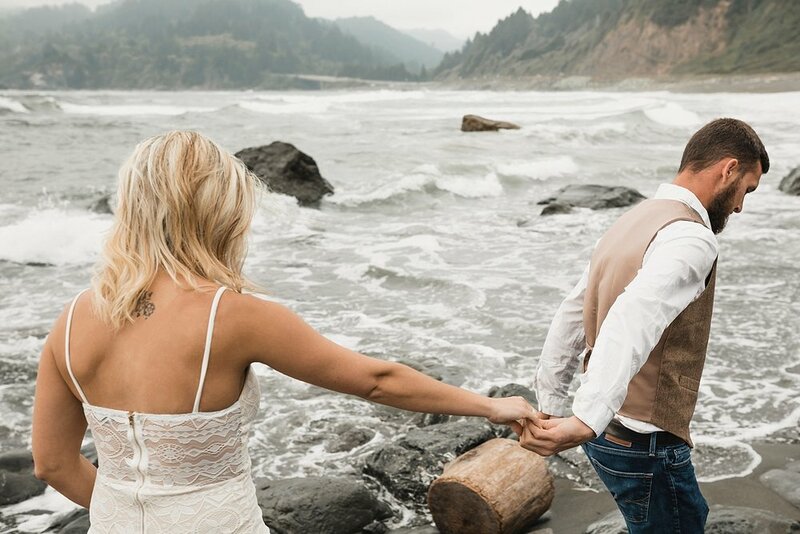 This would explain as to why the anniversary photos that we took together were so adventurous and free spirited. 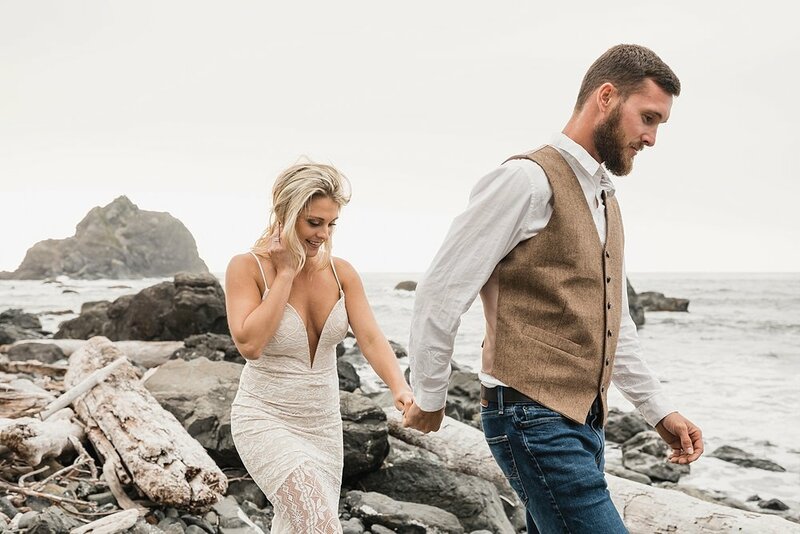 Tiffany wore a beautiful boho style Free People dress but had no problem running through the fields and climbing on the rocks on the beaches of Redwoods National Park. 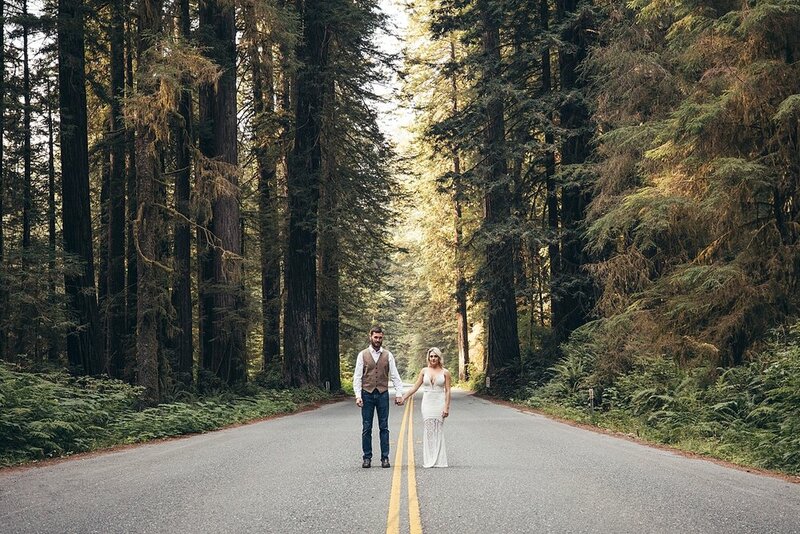 This couple had the best energy about them and I could not be more thankful that our paths crossed the way they did. Tiffany and Josh, thank you again for everything. I want to wish you a happy anniversary and know that you will have many more magical anniversaries together!